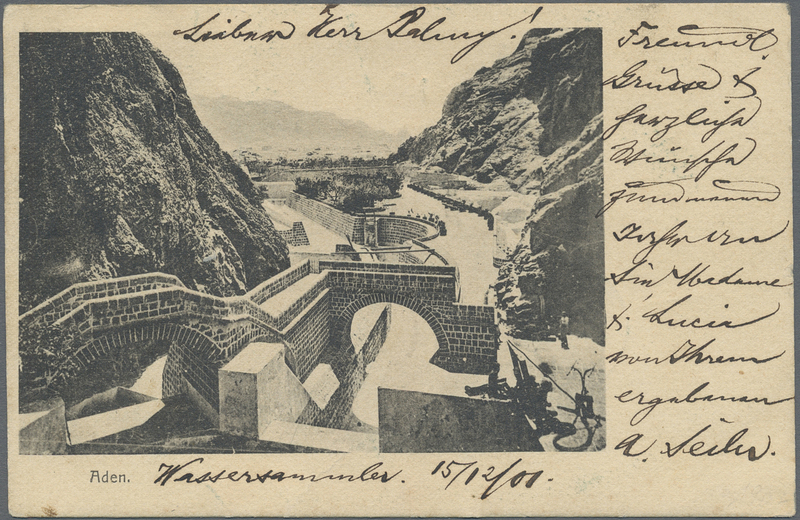 Aden: 1901, picture card from ADEN franked with 10 Pfg. 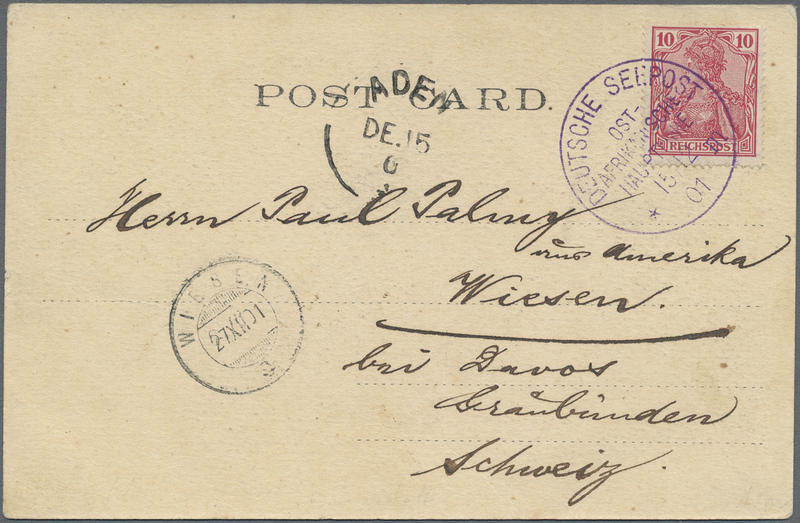 Germania Reichspost tied by superbe strike "
1901, picture card from ADEN franked with 10 Pfg. Germania Reichspost tied by superbe strike "DEUTSCHE SEEPOST OST-AFRIKANISCHE HAUPTLINIE 15.12.01". Sent to Switzerland on first African journey of S.M.S. "Kurfürst". Lot 7906 - Deutsches Reich Allgemein - Auktionshaus Ulrich Felzmann GmbH & Co. KG Auction 165 | Philately, Airmail, Zeppelinmail and Astrophilately, international, German and collections.